At Levco Pools, sustomer satisfaction is the core of our business. Every day we work to make our customers happy and their needs answered. 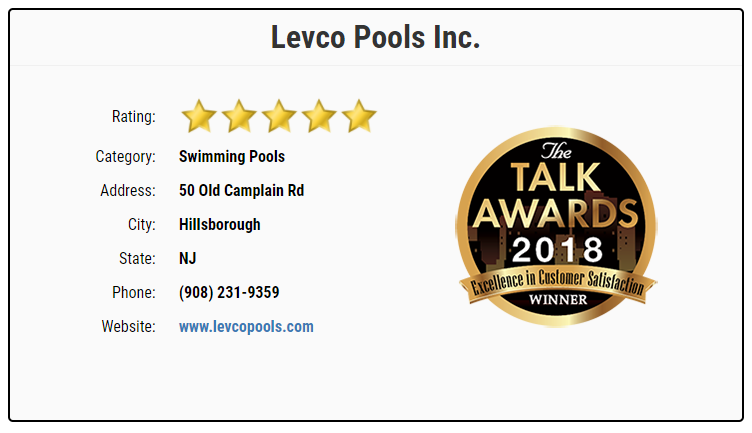 Continuing the past successes, we are thrilled to announce that Levco Pools has been awarded the Talk Awards Customer Satisfaction Award for 2018.